A guardian ad litem provides information and assistance to courts in disputes relating to family or probate matters. Three main categories of guardian ad litem exist in Massachusetts: an investigator, an evaluator and a “next friend.” The court appoints an investigator to look into facts relating to a family or probate dispute. A guardian ad litem-evaluator often carries out psychological testing or clinical assessment. If a guardian ad litem acts as a “next friend,” he typically represents the interests of a minor child or incapacitated person. A guardian ad litem is typically an attorney, medical professional or social worker with experience in the subject matter of the dispute. He must be independent of all parties to the dispute and play no other role in the court action. The term “ad litem” literally means for the purposes of the proceeding and, therefore, the guardian ad litem ceases any involvement with the parties to the dispute once the case is closed. In family disputes, the court appoints a guardian ad litem-investigator to scrutinize the relevant factors in a child’s life and report on factual matters. The investigator usually visits the family home and the child’s school where he talks to the child’s teachers and other involved adults. He then files a report with the court and may make recommendations regarding issues such as custody or visitation, but the final decision remains with the court. A guardian ad litem-evaulator gathers factual information and uses his clinical knowledge to interpret that information in a family dispute. The guardian should be independent from either party in the case and should not provide legal advice. Once he has evaluated the information, the guardian ad litem files his report with the court. A court may appoint a guardian ad litem to act on behalf of a person who is a minor, mentally incapacitated or disabled in any court action involving trusts or estates. The guardian ad litem acts in the interests of the minor, mentally incapacitated or disabled person in all matters relating to the court action. The court supplies the guardian ad litem with all notices of the proceedings and pays all reasonable expenses of the guardian ad litem. Probate court handles issues relating to estate administration and the distribution of assets after death. Under Article V of the Uniform Probate Code, a probate court can also appoint guardians of minors and incapacitated persons. Family courts, which are governed by state and local laws, deal with matters relating to family law. In certain jurisdictions, this court also has authority to appoint guardianships. There are, however, minor differences in probate and family court guardianships. How Can I Get Sole Custody in MA? 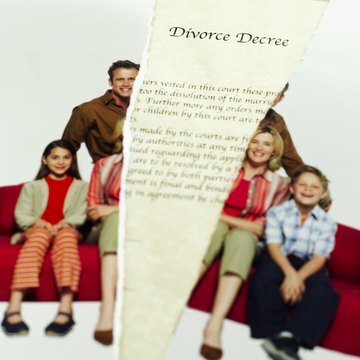 When going through a divorce that involves children, custody is always of concern. Obtaining sole custody of a child in Massachusetts requires an understanding of the factors that a judge can consider when making custody decisions. The process can involve procuring witnesses and other evidence. You can visit an online legal website if you need referrals for local attorneys who handle this issue. Probate is the process by which a decedent's estate is distributed to his heirs and beneficiaries. Each state sets its own laws on estate administration, including time limits on when probate must be opened. Texas has established specific guidelines on when a decedent’s estate must be opened for administration. Is Guardianship Required in Florida?